Materials are moved over a screen and vibrated in such a way that only the desired particles fall through, while larger debris is caught by the screen. If there is unwanted liquid in the material, a sieve type vibratory screener is used to separate the solids from the liquid. Sometimes the waste is recycled after cleaning if it can be broken down into a useable form. 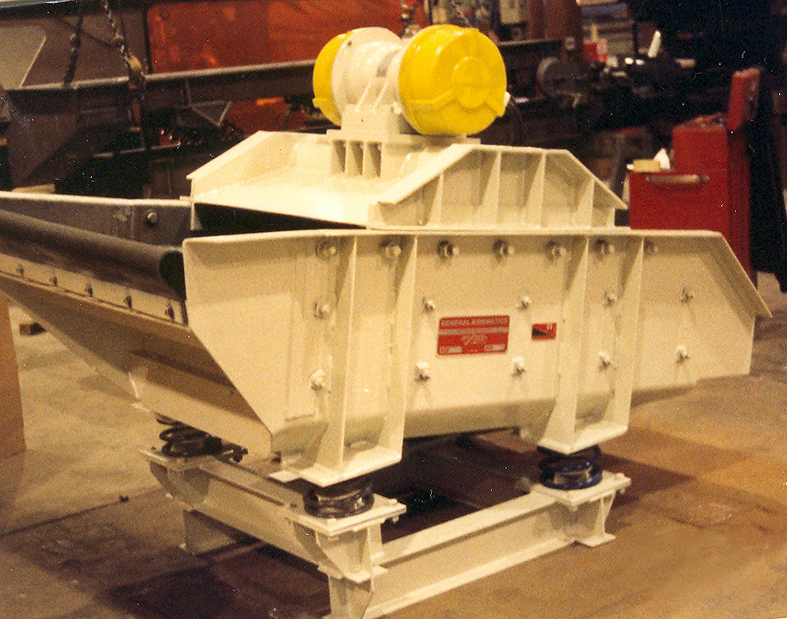 Vibratory Screener – Carrier Vibrating Equipment, Inc.
Vibratory screeners are not just used to separate materials; they are also important for classifying bulk materials by size. The larger or smaller materials that are removed may not necessarily be unwanted, they might just need to be classified and packaged differently. Plastic pellets can be sized and screened using a vibratory feeder during the handling process. Although there is a wide variety of vibratory screening machines available on the market, some unique handling applications require customized screeners. Specialized manufacturers offer custom-built vibratory screeners based on the dimensions and processing needs of your facility. There are a number of considerations that need to be made when you are purchasing a piece of vibratory screening equipment, or when you are working with a team of engineers to design one. First, you need to determine what vibration frequency works best for the material that you will be handling. This can be determined by testing with a vibratory screener at various frequencies to find the optimal setting. You will also need to find out how large the screen should be and what size the reservoir needs to be. The reservoir holds material or feeds it into the next stage of the process. The size of the screen and the reservoir below it will depend on the scale of the bulk material operation. 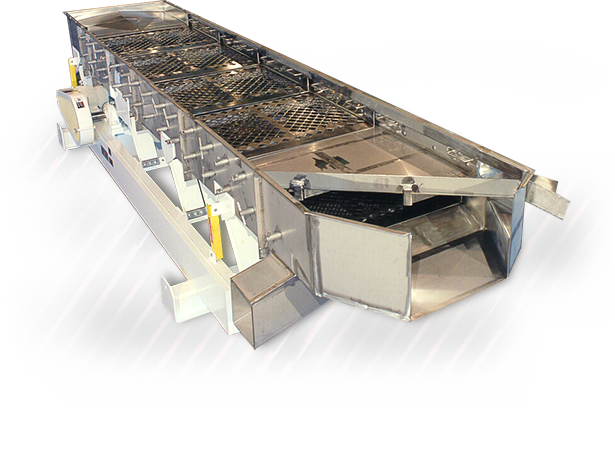 However, even in a large processing facility, the vibratory screener cannot be too large or it will not screen material as thoroughly. Vibratory Screeners A vibratory screener is a stationary or portable piece of equipment in a bulk material handling facility that removes unwanted materials from a batch using vibrations. Materials are moved over a screen and vibrated in such a way that only the desired particles fall through, while larger debris is caught by the screen. If there is unwanted liquid in the material, a sieve type vibratory screener is used to separate the solids from the liquid.